The MGM Restaurant in Nanaimo, B.C., has always been a bit like a community centre. It hosts dance lessons, Wednesday night chess, even stamp-collector meetings. The city’s emergency response workers – paramedics, firefighters and local RCMP – used to have their own standing reservation in a separate section. But they stopped coming in soon after federal tax auditors made a bombshell allegation. The Canada Revenue Agency began poring through the MGM’s books in 2006 and became convinced that owner-operators Tony and Helen Samaroo were tax cheats of the highest order. The agency accused them of skimming $1.7-million over a two-year period, resulting in 21 criminal tax-evasion charges in 2008. The Samaroos faced serious prison time and financial ruin. 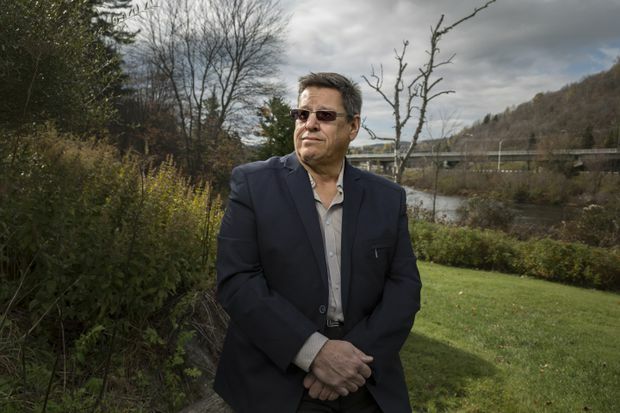 Many individual taxpayers, accountants, tax lawyers and former CRA employees describe the agency’s approach as having become overly adversarial, straining its relationships with taxpayers. As a B.C. Supreme Court judge would later find, CRA investigators never seriously considered the possibility the Samaroos might be innocent. After the story made the front page of the local newspaper, one auditor said in an e-mail to colleagues, “I can’t wait to read the edition after the guilty verdict.” Even when it became clear the CRA didn’t have a case, the agency’s lead investigator on the file manufactured incriminating evidence, while concealing evidence that might have helped clear the restaurant owners, according to the judge’s ruling. The CRA set out to make the facts of the case fit, the judge said. It did not succeed. In 2011, the Samaroos were acquitted in a criminal trial that exposed serious flaws in the CRA investigation. Not that it meant an end to their saga. “Over the past 12 years we have not had a single day in which we have been free of the fear of destruction by the CRA,” the Samaroos said in an e-mail. In fact, many individual taxpayers, accountants, tax lawyers and former CRA employees describe the agency’s approach as having become overly adversarial, straining its relationships with taxpayers – particularly small businesses. It has a long way to go, its critics say. The CRA interacts with virtually every business and individual in the country, making it a main point of contact between Canadians and the federal government. For the most part, it’s a civil exchange: By global standards, Canada is a country of honest taxpayers, with some of the world’s highest tax compliance rates – about 93 per cent, according to the CRA. Which is one of the reasons why, in much of the tax profession, the CRA has developed a reputation for treating small-business owners with a presumption of guilt. Once the agency’s systems flag a potential tax evader, it can be hard to disabuse investigators of their suspicions. Doing so often requires onerous amounts of time and money, which raises concerns about a two-track tax system – one for those with the means to hide from and fight the CRA and one for those who do not. “If you’re an average Canadian and you get a call that the CRA wants to visit you, you should be shaking in your boots,” Mr. Downe said. And yet, since the Liberals came to power, most new CRA funding has not gone to client services, employee training or dispute resolution but to auditing and enforcement. And the government expects a big return on that investment, putting pressure on investigators, auditors and collectors to hunt for hidden income and boost tax revenues. In the three budgets tabled so far by the Trudeau government, roughly $1.5-billion in new funding has been allocated to the CRA over a five-year period. About two-thirds of that money has been earmarked for enforcement activities meant to crack down on tax evasion and to fight sophisticated tax avoidance. “The pointy end of the stick gets all the attention and all the additional resources,” Mr. O’Riordan said. As the federal budget papers make explicit, for every new dollar of funding dedicated to auditing, the government expects a return of about $5 in tax revenues. That kind of expectation to deliver financially filters through the ranks of the CRA’s audit division. “If you’ve got an auditor who has a huge assessment, that’s viewed as a thumbs-up in the audit area,” Mr. O’Riordan said. Having that huge assessment stand up on appeal is a different matter. A 2016 Auditor-General report found that 65 per cent of tax objections reviewed by the CRA over a five-year period were settled fully or in part in favour of the taxpayer. The CRA has since seen little improvement on that front, with 63 per cent of assessments being reversed at the appeals level in the fiscal year ended last March. “That means that all those taxpayers were put through this grief for nothing,” Mr. O’Riordan said. And it suggests a quality-control problem in CRA investigations. over a five-year period ending March 31, 2016.
about 65 per cent of cases. In the Samaroo case, for example, the original allegations were supported by a net worth audit, which looks at a taxpayer’s financial position at two points in time and compares it with income reported over the same period to identify discrepancies. That analysis suggested the Samaroos misappropriated $1.7-million. But the auditor made a basic accounting mistake that could have accounted for almost $1-million. Inheritances of almost $400,000 were also missed. Whether taxpayer grievances and negative experiences add up to a systemic problem at the CRA is a matter of opinion. Mr. O’Riordan said that in his experience at, and with, the CRA, “99 per cent of the people are very professional and trying to do the best job possible.” But many dealing with auditors and collectors on a daily basis speak of a deterioration of service and an unfamiliarity with the tax code. “The CRA doesn’t give enough resources to their auditors. Tax evolves very quickly, and there are a lot of very difficult concepts. I find that sometimes auditors are left to figure it out on their own,” said James Rhodes, a Kitchener, Ont., lawyer specializing in tax disputes. Once auditors make their assessments, they are often taken off the file. Mistakes may never make their way back to the original auditor, even if the appeals division fully reverses the decision. “To me that’s the greatest fault with the system. I feel that there is no disincentive to doing a bad job,” Mr. Rhodes said. To that end, however, the CRA says it is making progress, having launched the “feedback loop” process, which is meant to improve communication between the agency’s various entities. But the sheer amount of time it takes the CRA to resolve disputes, particularly complex ones, undermines the idea of timely feedback. Auditor-General Michael Ferguson’s 2016 report also found that the average high-complexity income-tax objection took almost 2½ years to settle. “That type of performance just isn’t acceptable, and the government departments need to find a way to design their services so that they actually meet the needs of the citizens,” Mr. Ferguson said at the time. The CRA said it has brought down processing times, though they remain well in excess of those of other countries with similar tax systems. The most complex disputes, for example, currently take an average of 690 days – almost two years – to resolve. In other branches of the agency, service standards have also been found to be dismal. A subsequent Auditor-General report last November found that CRA call centres blocked more than half of the 53.5 million calls received between March, 2016, and March, 2017, so the agency could meet its standards for call wait times. Additionally, call-centre agents gave bad advice to taxpayers almost a third of the time. In response, the CRA said it has hired more agents and improved its training. Liz Temple spent 25 years as a collections officers/auditor at the CRA. She left in 2014, unhappy with the CRA’s increasingly aggressive approach. She now acts on behalf of small businesses in Kitchener who find themselves facing big tax assessments. Over the years, the softer approach lost favour with her superiors, Ms. Temple said. The process resorted more quickly to legal options such as garnishment and seizure of assets. She said she felt a culture shift to a stricter posture. There was less consideration for honest mistakes, reasonable explanations for anomalies or for a person’s ability to pay. By the time she retired in 2014, Ms. Temple said the CRA’s prevailing attitude toward anyone who owed taxes had hardened: “You’re stealing from the government." He committed himself almost full time to challenging the CRA’s claims, while simultaneously preparing for bankruptcy should he lose his case. “We were almost killed by this,” he said. In 2010, the CRA claimed Luc Dubois failed to report $1.4-million in revenue, making for a $750,000 bill with taxes and penalties. For six years he fought, eventually getting the CRA to admit he owed nothing. Finally, after dealing with six different investigators and managers and six reassessments over six years, Mr. Dubois wrestled his CRA tax bill down to about $6,000. He didn’t even want to pay that on principle. “But I had to stop the bleeding.” He had spent almost $100,000 in accounting and legal fees. He sold the company and vowed to never go into business in Canada again. The agency is not oblivious to the complaints. “While there’s no doubt that collection or audit situations can be tense, the CRA has heard the message that this is an area for improvement and is working with small business representatives on the issue,” CRA spokesman Dany Morin said in an e-mail. For much of its history, the CRA was left to its own devices as it went about the business of filling the national coffers. When Mr. Downe served as prime minister Jean Chrétien’s chief of staff, he sat in on every cabinet meeting for two years. “There were never any hard questions asked about just what kind of job they were doing. I don’t think the CRA was ever mentioned,” Mr. Downe said. Hard questions are being asked now. In addition to the Auditor-General’s attention, recent court decisions have opened the agency up to a new level of legal exposure. Once virtually immune to civil claims, the CRA was found by the B.C. Supreme Court in 2014 to owe a “duty of care” to taxpayers – an obligation the CRA strenuously resisted. “It’s an outrageous concept – though they have so much power and control over people, they’re not going to accept any responsibility in how they wield it,” said Laurie Armstrong, a retired lawyer who represented the plaintiff in the suit. In August, a ruling in Quebec Superior Court found the CRA negligent in conducting an offshore tax audit. “Taxpayers, the courts, and the CRA will now be alive that there’s a movement of the times towards negligence awards against the CRA,” said John Grant, a tax litigator at national law firm Miller Thomson LLP. “There should be a chilling effect on CRA’s management." For the Samaroos, the struggle did not end with their acquittal. The CRA is appealing the decision.